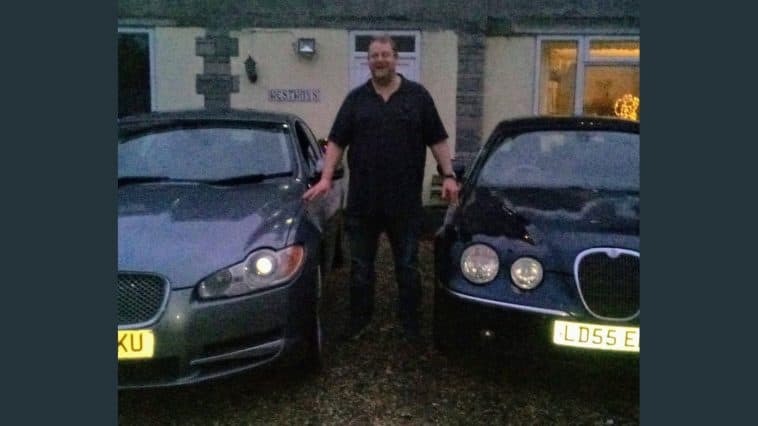 Simon Ramsden, aged 43 of Wedmore, died on Sunday 7 April after his Jaguar XF was found in a roadside ditch on the B3151 Blakeway near Fir Tree Farm. Sadly he died at the scene. “The big fella” – Simon was sadly taken from us on Sunday the 7th April when his car went off the road a few hundred yards from home. His love of cars and especially Jaguars meant he died doing something he loved, driving his beloved XF Portfolio. He was a man of many talents of which he excelled at. Mainly his self-taught ability with computers was astonishing and his talents were used at The Laptop Shop in Burnham-on-Sea where he had worked for the past year. He was also a good pool player as his colleagues in the Black Widows pool team will attest to. He was the kindest, caring and helpful man who would give you his last shilling, and who doted on his lovely eight year old daughter Daisy. He was a man in a million who touched the heart of everybody he met. He will be sadly missed but remembered by everyone as a lovely guy. My wife Gillian, daughter Nicola and I his father Jeffery Ramsden, would like to thank everybody who sent their condolences. My daughter Nicola and son-in-law Richard Tancock have been tremendous in helping us and a big thank you to the fire brigade, the ambulance service and especially the police – the family liaison officer Louise in particular, for her compassion and help at this very trying time.